﻿ Self catering cottages and lodges near Ullswater in the Lake District. Ullswater cottages and self catering holiday accommodation around Ullswater in the Lake District. Ullswater is the second largest lake in the lake district, and seen by many as the most beautiful. There are a great range of self catering holiday properties in and around Ullswater, from cosy apartments for 2 to large self catering houses sleeping 10. Please browse the selection of self-catering holiday properties below. Click the links for more details on individual cottages. Alternatively browse the nearby areas for other holiday cottage accommodation. The main towns and villages around Ullswater are Glenridding, Patterdale, Pooley Bridge, and Watermillock. 2 miners cottages above Glenridding on the bridlepath to Greenside Mine. Each cottage sleeps 4. Superb views and facilities. Pets are welcome at this Ullswater holiday cottage. Superb elevated position above Glenridding, with a good view Ullswater from the garden and from the main bedroom upstairs. One double one twin bedroom. Traditional stone built cottage set between the villages of Glenridding and Patterdale. Sleeps 2 and refurbished to a very high standard, but retaining original feature such as beams and with fantastic stripped wooden floor and rugs. Pets welcome. Family Self catering cottage in Glenridding. Great views across the valley and down to Ullswater. Sleeps 5. Click here for more on this Holiday Cottage near Helvellyn. Ullswater - England’s “most beautiful lake”. The How is a detached bungalow in a great location close to Helvellyn and Ullswater. Sleeps 3 and pets are welcome. More info..
High beckside sleeps 7 in 4 bedrooms including a separate Wool Loft. Pets welcome. Great location with superb views. 17th Century Lakeland Farmhouse. Superb accommodation in 25 acre grounds in rural location with 2 lakes and woodland close to Ullswater. 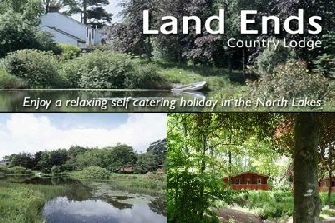 Large self catering Lodge for 16 people. Plus 4 log cabins sleep 3 -5. Dog friendly. Exclusive luxury self-catering accommodation, intimate weddings and retreats for those wishing to escape the crowd for 20 guests. Set within a private 27 acre estate, with over half a mile of Ullswater lake frontage with boathouse and private jetty. Spa & Wellness Sanctuary & cinema. If you own a holiday cottage near Ullswater why not contact us to see how we can help promote your Lake District Holiday accommodation.